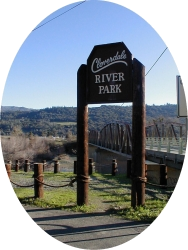 Cloverdale is a place of great natural beauty and offers an abundance of outdoor parks and recreational activities including neighborhood and community parks, as well as active and passive open space recreational opportunities. Amenities range from play fields and tot lots to passive recreational opportunities for walking and cycling. City parks are open to the public from 7:00 am to 10:00 pm. To reserve a City park, complete a Park Facility Reservation Application. City Park is a 7.4 acre community park located at 450 W. Second Street, Cloverdale. Park amenities include children's play structures and swings, baseball field, basketball court, volleyball court, horseshoe pits, and scout cabin. The park also offers a BBQ and picnic area as well as a snack shack with announcement booth and restrooms. Clover Springs is a 5.6 acre active open space area offering hiking and walking opportunities. Furber Park is a six acre community park located at 298 Elbridge Avenue, Cloverdale. Park amenities include children's play structures and swings, a joint use baseball/soccer field and a snack shack with announcement booth and restrooms. 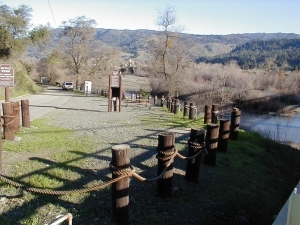 Porterfield Creek is a ten acre active open space area offering hiking and walking opportunities. River Park is comprised of 10.3 acres of active open space and 58.2 acres of passive open space located at E. First Street and Crocker Road, Cloverdale. The park offers opportunities for picnicking, walking, bicycling and river access for a variety of water sports. Tarman Park is a half-acre neighborhood park located at 45 Clark Street, Cloverdale. Park amenities include a play structure and picnic tables. Vintage Meadows Park is a 3.5 acre neighborhood park offering a children's play structure and court games.